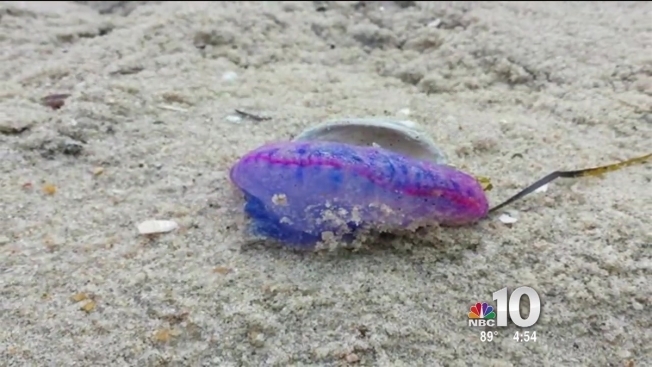 A potentially deadly Portuguese man-of-war washed up on the Jersey Shore over the weekend, and officials are warning beachgoers to keep their distance if they encounter any others. The vibrant purple and blue sea creature was found Sunday morning at Harvey Cedars Beach, according to the beach patrol officers’ Facebook page. Portuguese man-of-wars have tentacles that grow from 10 to 30 feet long and marine biologists say their potentially deadly sting is far worse than what you’d get from jellyfish normally found at the Jersey Shore. “Their stings are among the most painful and if somebody is allergic to bee stings or something like that, you can go into shock,” Dr. Paul Bologna, associate professor of biology at Montclair State University said. Beachgoer Emily Merchant says she was stung by a Portuguese man-of-war as a child in Hawaii. The creatures are commonly found in tropical waters but the Gulf Stream and certain wind patterns can send them our way. “It was horrible. 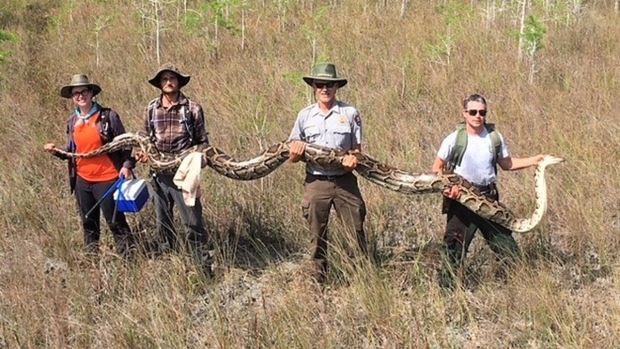 I thought I got electrocuted,” Merchant said. Experts say this likely wasn’t an isolated incident and that it’s highly probable that more of these jellyfish will show up on local beaches in the next week or so. “You never want to turn your back on the ocean. It’s always constantly changing,” Harvey Cedars Beach Patrol Captain Randy Townsend said.